Rosa Parks sat in the front of a city bus in Montgomery, Ala.
What’s really behind this measure is a desire to punish people or groups that have endorsed a boycott of Israel or of companies that profit from Israel’s denial of Palestinians’ human rights. Israel’s most ardent defenders argue that any criticism of Israel — and particularly the use of a political boycott — is motivated by hatred toward Jews and/or Israelis. Yet this is a gross mischaracterization of the role of boycotts in social movements generally, and in human rights activism in the Middle East specifically. In 2005, Palestinians called for boycotts, sanctions, and divestment as a peaceful measure to pressure the state of Israel to abide by international law and grant Palestinians their fundamental rights. Protesting the actions of a state is not the same thing as hatred toward the people who make up the majority of citizens in that state. If that were the case, then the Montgomery bus boycott should be understood as an essentially racist protest undertaken by black activists against Montgomery’s white population. It would be absurd to construe the bus boycott as a form of racism rather than as a tactic by which to protest racist state policies. Similarly, just four months ago several of Massachusetts’ most prominent elected officials threatened to boycott the St. Patrick’s Day parade in South Boston because the parade leaders voted to exclude a gay veterans group from marching. It would likewise be absurd to treat these public officials’ defense of the civil rights of gay vets as a form of discrimination against the parade organizers because they were Irish or because they were Catholic. In fact, boycotts have a noble history in Massachusetts. In the 1760s, colonists in Boston protested British taxation by boycotting British tea. These protests culminated in the Boston Tea Party, when British tea was dumped into Boston Harbor. In 1982, Massachusetts enacted a law ending the investment of public pension funds in firms doing business in or with apartheid South Africa. In 1996, the Massachusetts legislature passed a law boycotting the state of Myanmar (Burma) on account of its pervasive human rights abuses. And a little over a year ago the Boston City Council voted unanimously to boycott the state of North Carolina, banning official travel to the state as a way of protesting a North Carolina law that blatantly discriminated against gay, lesbian, and transgender people. This rich history of political boycotts supported by political leaders in Massachusetts shows how the proposed antiboycott bill is out of step with the values of free speech and political protest held dearly by Bay Staters. It would be a perversion of this history to reduce boycotts of Britain, South Africa, Myanmar, or Israel to forms of national origin discrimination rather than appreciating how they are a time-honored form of political protest against human rights violations. 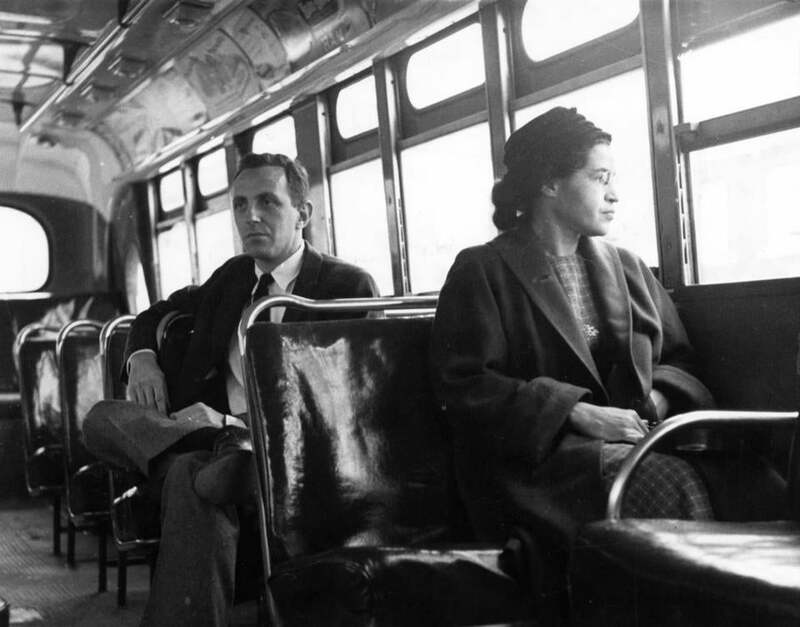 Passage of antiboycott legislation here in Massachusetts would betray the legacy of Rosa Parks and the sacrifices made by the supporters of the Montgomery bus boycott who played such a crucial role in ending race-based apartheid in this country. Katherine Franke is a professor at Columbia Law School.